Could this be the best Daily Deal yet? Devolver Digital’s Shadow Warrior: Special Edition is completely free on the Humble Store. The Serious Sam-esque title mixes faced paced combat, solid mechanics and over the top weaponry, making for pretty fun all round gameplay. It’s also co-op if you have a friend who’s keen to get some quick killing out of their system. Hurry though, as there’s just over a day left to redeem your free copy, although once you do you get the Special Edition of the game, with an art book, soundtrack, and unique weapons. 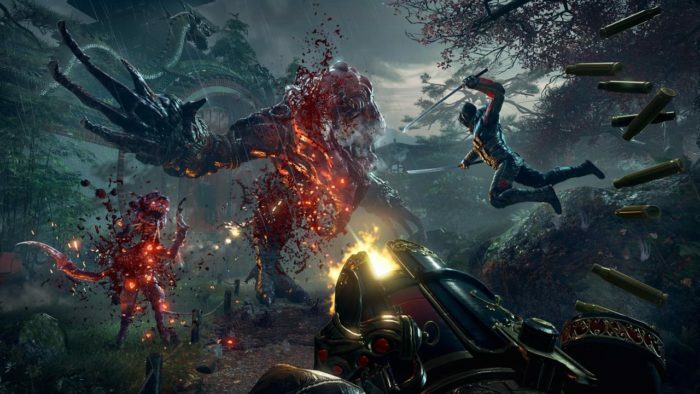 Download Shadow Warrior, for free, here. Have you played Shadow Warrior? Thoughts on the game? Let us know in the comments below.